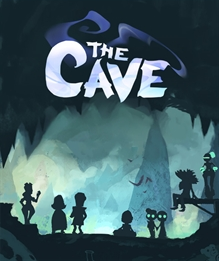 Double Fine Productions, home to legendary adventure game designer Ron Gilbert, has just revealed that his latest game titled The Cave is coming to Wii U in addition to already announced versions for PS3, 360 and PC. The Cave is described as a "Metroidvania" style platform adventure game featuring 3 player co-op. You explore a massive cave using the unique skills of 7 different heroes to overcome the various puzzles littered throughout the adventure. Nintendo has gone to great lengths to attract some of the best games to their upcoming Wii U eShop and The Cave looks to be an excellent fit helping to satiate their fans hunger for Metroid style exploration games. Get trapped in The Cave in early 2013.